Cycling is a sport of many emotions: the sympathy as the day-long breakaway gets caught, the adrenaline as the final sprint unfolds, the sense of pride as ‘your’ teams takes the victory. Unfortunately, sometimes, the disappointment and feeling of being cheated, as another doping scandal unfolds. The mix of emotions is what makes the sport so engaging, so addictive, and so special. 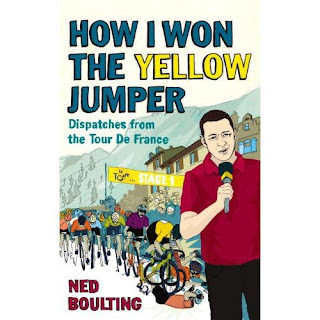 Ned Boulting’s ‘How I Won The Yellow Jumper’ captures the full spectrum of emotions that follows the Tour de France every year, and makes it the heart of global cycling culture. 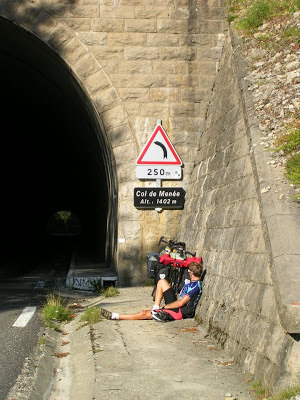 His ‘Dispatches from the Tour’ cover everything from the joy and perseverance of road-side fans, the fight and fury of the pent-up sprinter, the comedy of Le Tour’s toilettes, and the shame and disgrace of drug cases. This book has it all, but most important of all emotions, it also has humour. A month or so ago I posted a review of the rather excellent Garmin Edge 510 (Link), in which I mentioned further posts that I would be writing on the advantages of using GPS devices to improve your training, and in particular using features such as Live Tracking on the Edge 510. Today Sam and I travelled to Bletchingly in Surrey for my second Surrey League road race this season. It would be fair to say it was a hot and hard day out. The first lap of the race was eventful, with a horse bolting in front of the peloton, which stopped us for a good five minutes until the rider had picked herself up (unhurt), and caught up with it. We chased down a small break that had gone from the off, and it all came back together. In the second lap of six, things started to heat up (temperature wise as well). Sam hit one of the many large potholes on the circuit and punctured; unfortunately ending his race. That left me as the only Wightlink-LCM Systems rider in the race, with the task of trying to compete against several large mainland teams. (Bit of deja-vu from the Redhill RR started!). Tyler Hamilton's story is a stark opposite to Lance Armstrong's best seller 'It's Not About The Bike'. This is not fiction, but fact; not an elaborate fairytale, but a brutal truth; not a money making scheme, but a confession. Flying with your bike is a great way to get to that dream cycling destination quickly and comfortably; however, there is always a concern that your bike will be damaged by the rough hands of the baggage handlers in transit. The solution is a good quality bike bag or bike case. That leaves you with the decision of whether to opt for a hard case or a soft bag. Both have pros and cons: a hard case will provide better protection, but they are heavier, so you stand to be penalised on the weight allowances for airlines, they also tend to be smaller so require more time consuming disassembly of your bike. The Aussie boys do it again... Viral video advertising at its best! In the perfect world, sports supplements would not be necessary; we would all have diets containing everything we needed. But unfortunately that's not the case; our lives are often too busy, too restricted, too regimented, to ensure that we get the perfect balanced diet to ensure our bodies are functioning at their maximum. 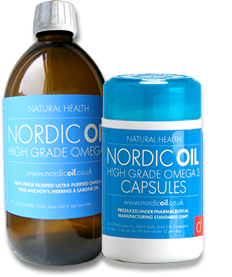 Enter the world of sports supplements, and in particular in this post, Nordic Oil's High Grade Omega 3 supplement. Over the last month or so I've been testing out the Nordic Oil capsules; a daily supplement containing both Omega 3 fish oils and Vitamin D. I've taken similar Omega 3 supplements in the past, and this is as effective as they get in my experience. Other athletes, including Chrissie Wellington (the four time female World Ironman Champion) have agreed and endorsed the product. In March I wrote a post on Race Nutrition Strategy; the basic message of the post was fuel up before the race, take solid food on during the race whilst you can, and the pace is low, then as the intensity builds switch to energy gels and plenty of energy drink. However, for many readers of the blog, a Sportive event rather than a race will be the main focus of your season; that big ride will be what your training has been building up to all season, and will often be the biggest day on the bike. Although I race far more than I ride sportives now, many of my long training rides are similar in length and intensity to a middle or long distance sportive. In this post I look at the distinctly different kind of nutritional plan that I would adopt for a sportive or long ride, compared to a race situation.